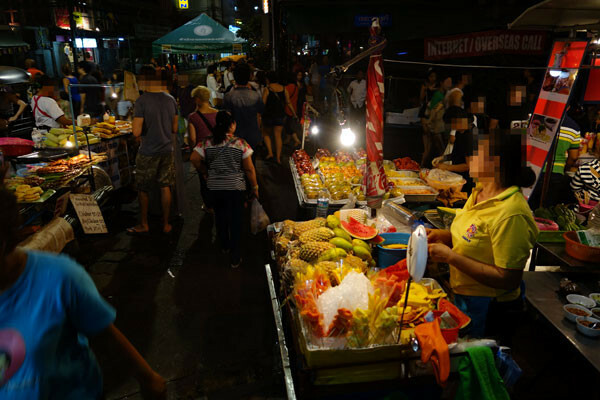 The BMA had already arranged with the Metropolitan Police Bureau for the daily closure of Khao San Road to vehicles from 6pm until midnight, to allow hawkers to trade on the road surface, he said. For Khao San Road, the BMA came up with an alternative plan by letting vendors trade on the street instead. Khao San Road will become a walking street from 6pm until midnight except Mondays. The vendors argued that setting up stalls on the road may put them and tourists at risk if it rains. The new regulations will be strictly enforced, deputy governor Sakoltee Phattiyakul told reporters. Police kept a close watch from one end of the street on Monday, and said they would shut down any vendor who defied the order. Every vendor has to register with the Commerce Ministry. vendors will only be allowed a space of 1.5 square metres and all stalls need to be of the same size. We will ensure that everybody gets an equal share of the footpath, and only one stall will be allowed per vendor, Sakoltee explained.